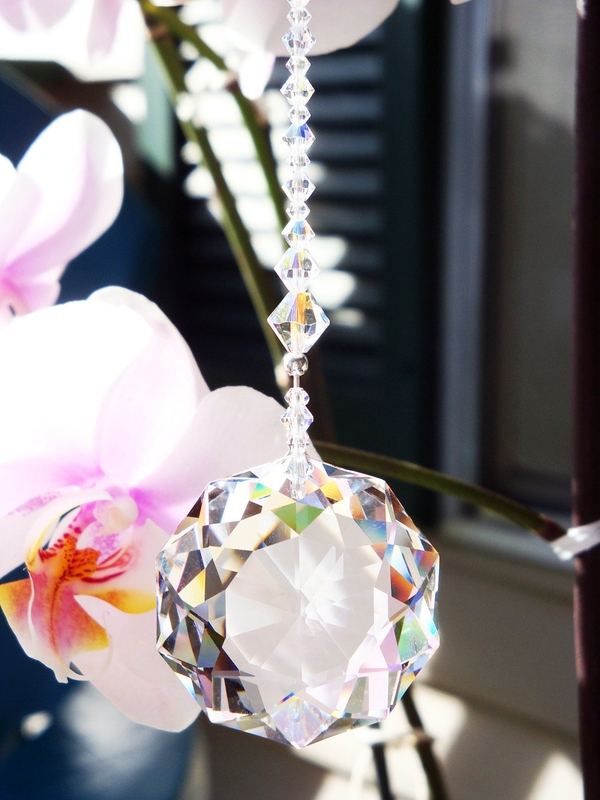 Crystal Suncatcher created with a sparkling Dahlia Swarovski Crystal Pendant and Lavender, Violet and Aurora Borealis Clear Crystals. 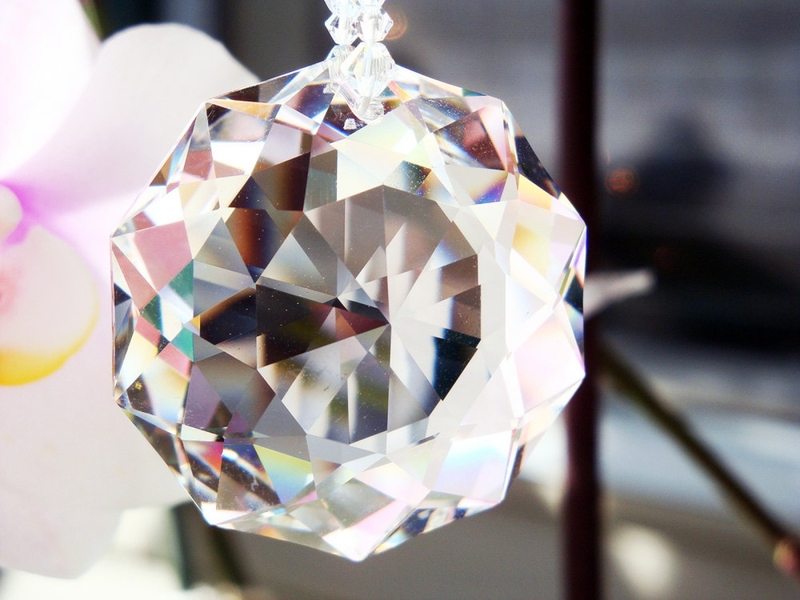 Clear Crystals symbolize the energy of New Beginnings and Kindness. 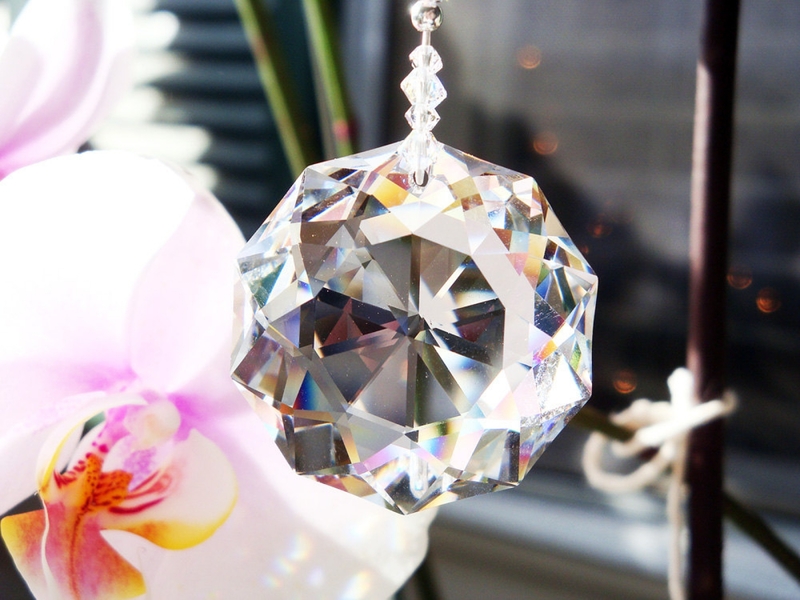 38mm Swarovski Dahlia Crystal Pendant. 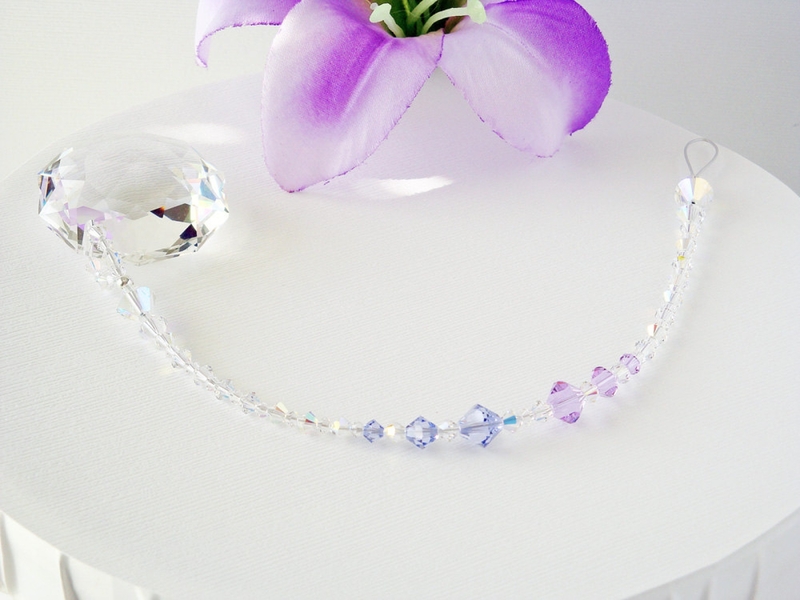 8, 6, 4 and 3mm Swarovski Lavender, Violet and Aurora Borealis Clear Crystals. 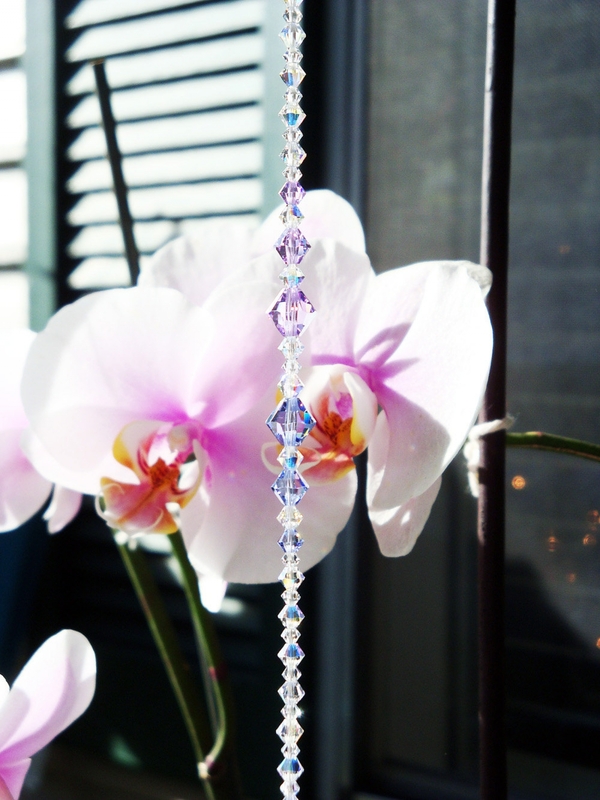 Measures 10.5" long including the 3/4 inch wire loop at the top to hang it.